The famous Santa Cruz Trail passes through the heart of the Cordillera Blanca and is undoubtedly the most popular and scenic route through Huascarán National Park. Typically done as a 4-day point to point hike, it was listed as one of the best hikes in the world by National Geographic, "...a less-crowded alternative to the hordes headed to Machu Picchu on the Inca Trail" and one of the best hidden gems of South America. 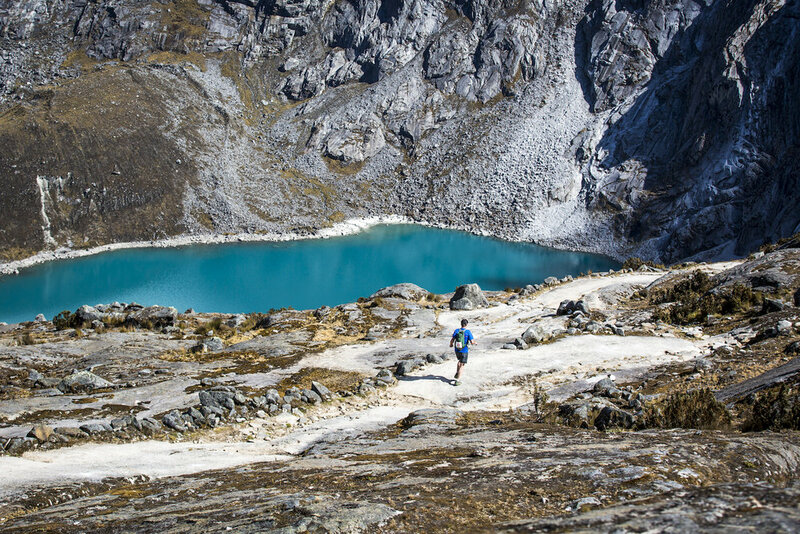 This 45km/ 28mi course starts just outside the small village of Vaqueria on the eastern side of the Cordillera Blanca. Climbing just over 1,300m in the first 18km to the top of Punta Union Pass at 4,750m, racers will gain one of the most amazing views in all of Peru. 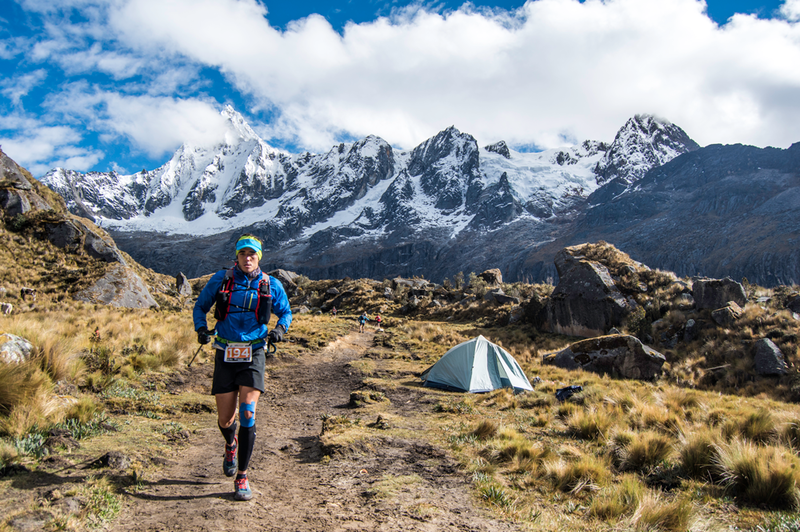 From Punta Union racers will descend down through the stunning Santa Cruz Valley passing many of the icy 6,000m peaks, flowing glaciers and crystal lakes that define the Cordillera Blanca. 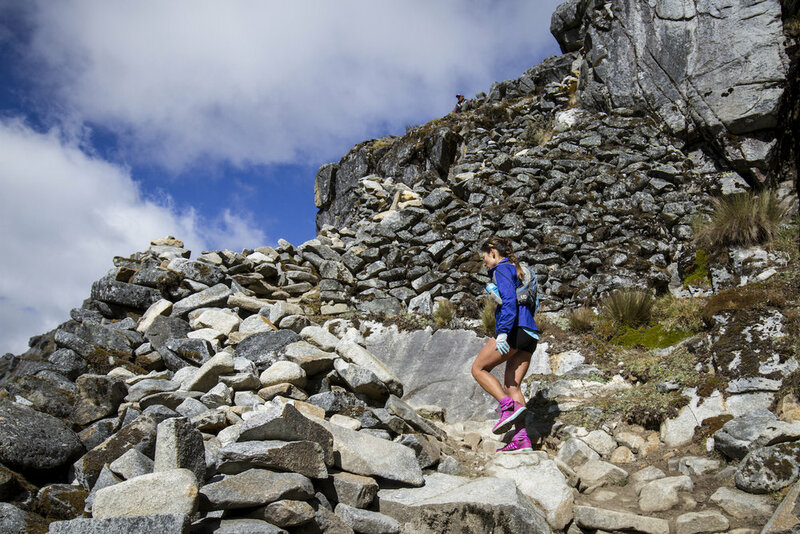 Running this route through the High Andes is a truly rewarding experience that you will remember for the rest of your life. Interested yet? 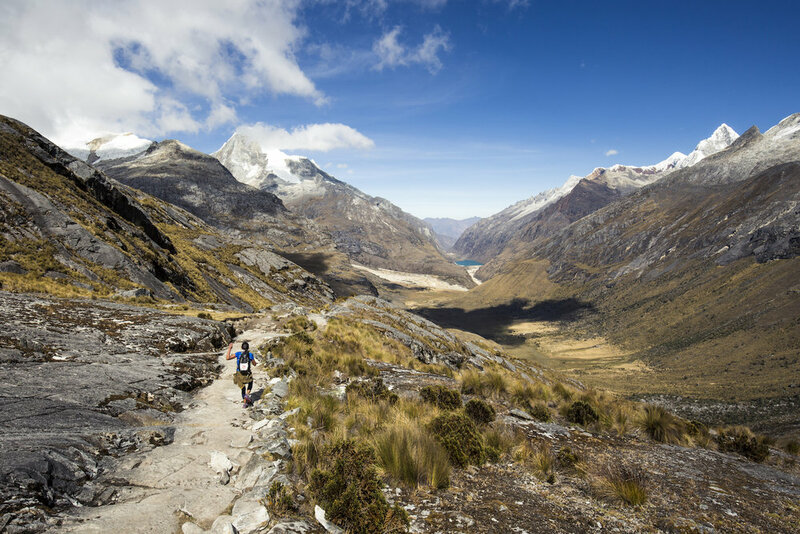 The 2019 Santa Cruz 45k will begin at 6:00am on August 10 near the small town of Vaqueria at the Illariy Lodge on the eastern side of the Cordillera Blanca. This is roughly a 5 hour drive from Huaraz- transportation to and from the event is included in the registration cost. The race course will cross over the continental divide and finish on the western side of the Range in the small town of Cashapampa (above Caraz). There will be food and refreshments available for all racers at the finish in Cashapampa with an awards ceremony in the afternoon for top finishers. There will be shuttles back to Huaraz following the ceremony. Please see the itinerary below for a more detailed outline of the event. * Please note for safety reasons there will be a 12 hours time limit to complete the race. There will also be two cutoff times in the first half of the race- 5 hours to Aid Station 3 and 6 hours to the top of Punta Union Pass. In the event that you are unable to make these first two cutoff times you will be asked turn around and return to the starting line. Transportation and staff will be there to make sure you make it back to Huaraz safely. There will be horses sweeping the route and giving rides to those who are unable to complete the route in the 12 hour time limit. All overnight baggage will be transported from the starting line to the finish in Cashapampa. Space is limited on this bus so please try to keep the luggage you bring to Vaqueria to a minimum. Please do not bring all of your vacation luggage. Most hotels in Huaraz are able to store your bags for you while you are gone for a couple of days. One night at the Illariy Lodge near Vaqueria is included in the price of the race. The Illariy is fairly small and beds are available on a first come first serve basis to the first 20 entrants of the race. These beds are not guaranteed to be in your own private room. Once all of the beds have been claimed, runners will be required to camp in the designated campground on the property. Tents will be provided but sleeping bags and pads will not. If you are unable to travel with this camping gear there are many rental options in Huaraz. This Package is available for friends and family members who would like to be at the finish line when their runners arrives. There will be a shuttle bus on the morning of the race to take people from Huaraz to the finish line in Cashapampa for $15. This also includes a return ride back to Huaraz following the event. 4:00pm - Tech talk and race brief at Trivio Restaurant in Huaraz- There will be a short presentation of the event along with information about the Cordillera Blanca and Huascarán National Park. A question and answer session for the participants will follow the presentation. Please come by to have all of your questions answered, meet some of the other runners and enjoy some delicious Sierra Andina beer. This will also be your opportunity to pick up your race packet and bib number. 6:45am - 45k participants will meet in Parque Periodista in front of Trivio Restaurant- buses will leave for Vaqueria at 7:00am sharp. 9:30am - Buses stop in Llanganuco Valley for a short break and to cheer on 13k and 30k runners at the finish line. 1:30pm - Buses will arrive at Illariy Lodge outside of Vaqueria with 45k participants. Runners will have free time to settle in to their lodging for the night (bed or tent). 6:30pm - Pasta Dinner at the Illariy Lodge. During dinner there will be a short talk about the schedule for race morning. 5:00am - There will be fruit, bread and coffee available for those who want breakfast. Any items that runners do not need for the race may be left behind and will be transported to the finish line in Cashapampa. 6:00am - The Santa Cruz 45k begins- Good luck! 8:00am - Buses will leave Huaraz for Cashapampa with friends and family who wish to cheer on the racers at the finish line. This costs $15 per person and needs to be purchased ahead of time so that we know how many buses are needed. This includes a return ride back to Huaraz. 10:30am – 6:00pm - 45k runners will reach Cashapampa. There will be music, beer, and food available at the finish line. 3:30pm – 7:00pm - Buses will leave Cashapampa for Huaraz.